Cryptocurrencies are not all the same; but numerous crypto networks are built on blockchain technology which prevents double-spending by time-stamping transactions and grouping them together in a chain of transaction blocks which means that transactions and the sequence of transactions cannot be altered retroactively without changing the subsequent blocks. Changes can also not be made to blockchains without the consensus of the network. Looking past the technical aspects of cryptocurrencies, we can say that many of them can be used to do almost instant global payments, they can be speculated with, some cryptos can be mined, many cryptos can be directly purchased with fiat currencies, and, of course, all cryptocurrencies are digital. 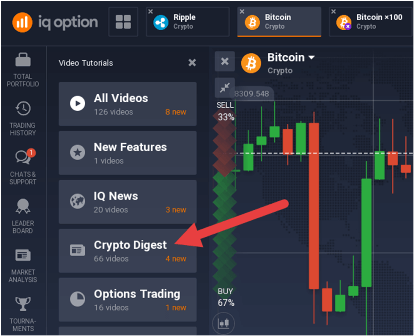 Now that we’ve briefly covered some crypto basics, let’s see which cryptos you can trade with IQ Option, and how to access the crypto market with cryptocurrency CFDs (contracts for difference). 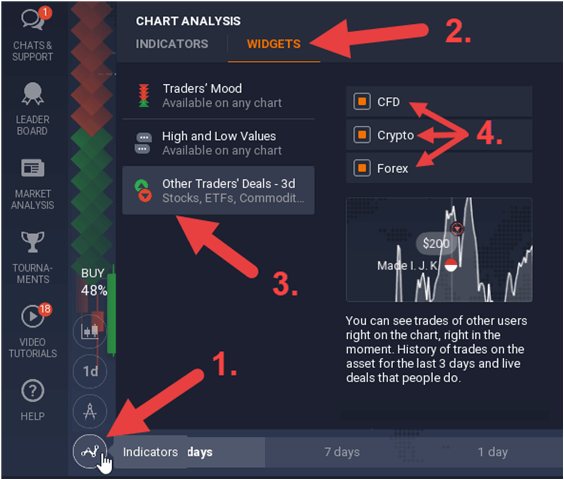 Trading Cryptos With IQ Option - A Wide Range Available! IQ Option offers a good range of cryptocurrencies, which includes most of the big names, like bitcoin, ethereum, litecoin, ripple, dash, and about 12 others. 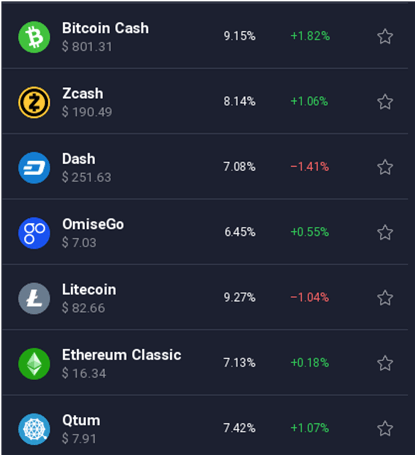 The number of cryptos offered by IQ Option differs from time to time, but users can expect to see more cryptos added to the list as time goes by. 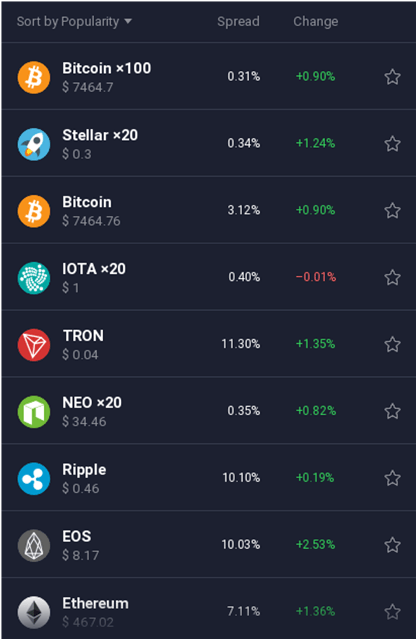 SOME OF THE CRYPTOCURRENCIES YOU CAN TRADE WITH IQ OPTION. You may have noticed in the screenshot above that there are two bitcoin instruments - Bitcoin x100 and Bitcoin. The Bitcoin x100 instrument is offered in addition to the standard Bitcoin CFD and can be traded with one leverage setting only: 1:100. This instrument expires every day at a certain time and typically has a much narrower spread than IQ Option’s standard Bitcoin instrument. 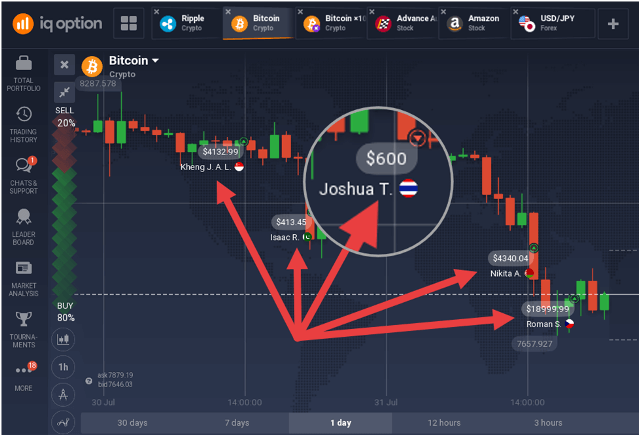 Because trades on Bitcoin x100 cannot be held overnight, clients do not incur overnight fees when trading it. 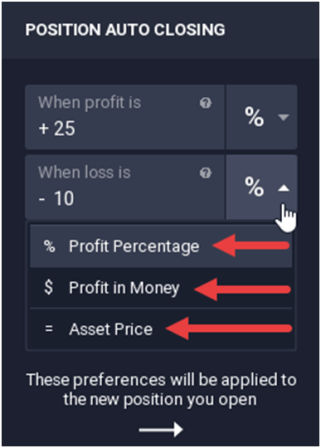 IQ Option’s standard Bitcoin CFD can be traded with leverage of up to 1:10, with the other leverage settings being 1:1 (no leverage), 1:3, and 1:5. When trading this instrument with leverage, overnight fees are charged. Just like the special Bitcoin x100 trading instrument, IQ Option also has special instruments available in stellar (Stellar x20), iota (Iota x20), and neo (Neo x20). These can only be traded with 1:20 leverage and also expire on a daily basis. 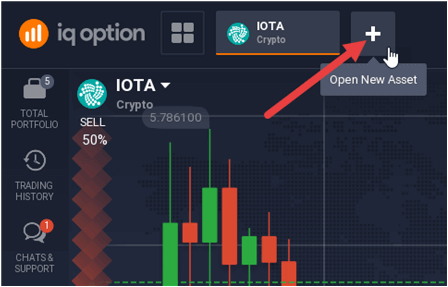 When Stellar x20, Iota x20, Neo x20, and Bitcoin x100 are traded, any open positions will automatically be closed at the end of the trading day because of their daily expiration. IQ Option’s standard cryptocurrency CFDs don’t expire at all and can be kept open for as long as necessary. The standard cryptocurrency CFDs offered by IQ Option don’t all come with the same leverage settings. For example, bitcoin can be traded with the following leverage settings: 1:1 (no leverage), 1:3, 1:5, and 1:10. Some of the less significant cryptos like monero and iota have no leverage available. 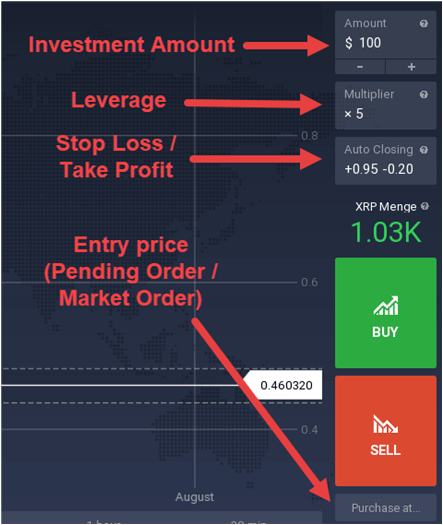 The range of leverage settings available on the standard crypto CFDs range from 1:1 up to 1:10. 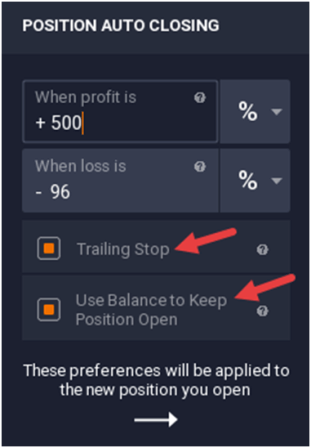 Please note that this may change at any time at IQ Option’s discretion. The special crypto CFDs like Stellar x20, Iota x20, Neo x20, and Bitcoin x100, have 1:20, 1:20, 1:20, and 1:100 leverage, respectively. These leverage settings are fixed. Non-European Union clients and clients from the European Union with pro trading accounts with IQ Option typically have access to the leverage settings mentioned above, that is, up to 1:10 on standard crypto CFDs and up to 1:100 on special crypto CFDs. Clients from the European Union (except those with pro trading accounts) do not have access to special crypto CFDs (Stellar x20, Iota x20, Neo x20, and Bitcoin x100) and can only trade standard crypto CFDs with 1:1 leverage (zero leverage). 3. 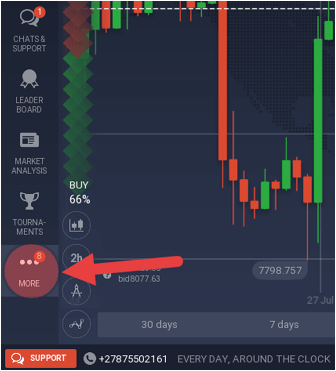 Click ‘Buy’ (green button) for a long position and ‘Sell’ (red button) for a short position. OTN tokens are distributed as ‘airdrops’ (given away for free) through different channels which include the IQ Option trading platform and gifts to existing OTN holders. 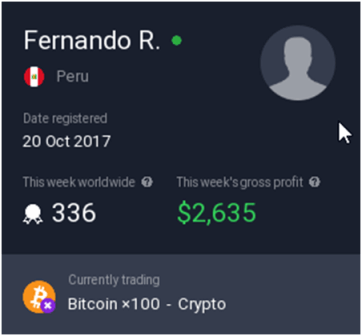 For every cryptocurrency trade executed on an IQ Option real money account, OTN tokens are given away, proportional to the volume of the crypto(s) traded. This is how OTN tokens are ‘mined’. The number of OTN tokens released every week gradually decreases, as a means to limit its supply and to encourage price growth. 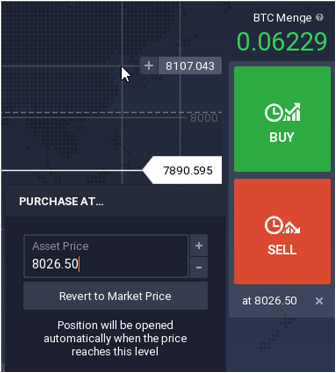 These tokens can be used to cover trading commissions on the IQ Option platform and can also be sold (and bought) on livecoin.net. 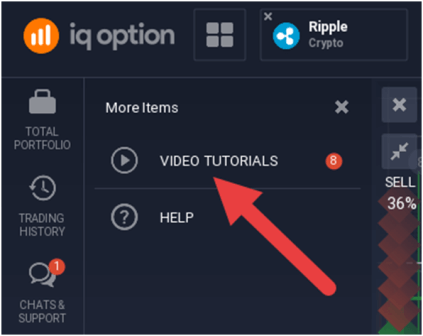 For more information on the Open Trading Network and OTN tokens, you can watch the videos listed in the ‘Open Trading Network’ section of the video tutorials section (which can be found on the IQ Option trading platform itself).